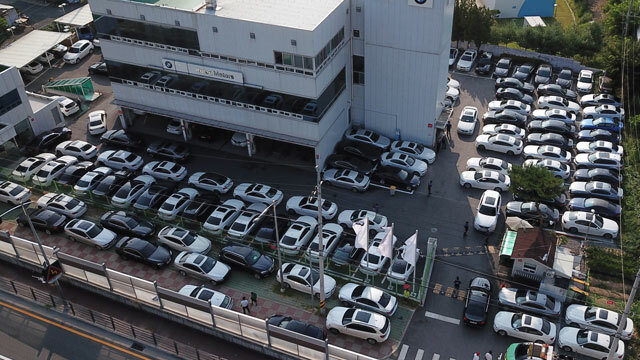 BMW has secured less than half of the components required for its recalled vehicles than what it previously stated in a report submitted to the South Korean government. KBS has exclusively learned the German carmaker had pledged to acquire nine-thousand-800 auto parts by mid-August in a plan submitted to the Transport Ministry earlier this month. The company added it will further secure a total of over 106-thousand components by December in order to replace the exhaust gas recirculation(EGR) component in the recalled vehicles. However, KBS learned that as of August 12th, BMW had replaced EGR components in only one-thousand-860 vehicles and as of August 13th, had inventory of just over two-thousand-700 components, adding up to about four-thousand-600 in total. This amounts to only 46 percent of the nine-thousand-800 the carmaker pledged to secure by the middle of this month. S. Korea's Largest Cruise Terminal Opens Fri.